Now that I have kids, all the excitement of Easter has returned. The getting together with family and friends, basket decorating, egg hunting and of course, Easter brunch. 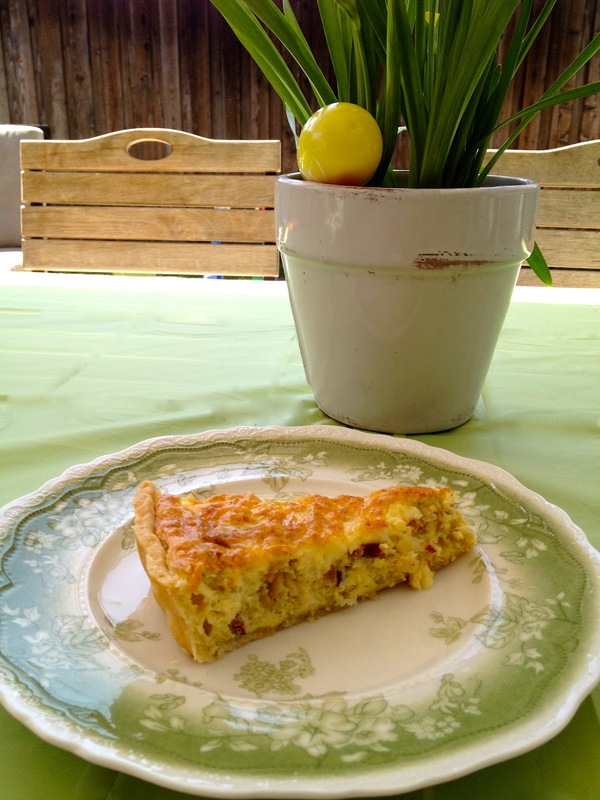 One of my favorite things to make for a brunch is quiche. It's easy, elegant and darn tasty. The perfect marriage of breakfast and lunch. Here is the one I made for this year's Easter brunch. 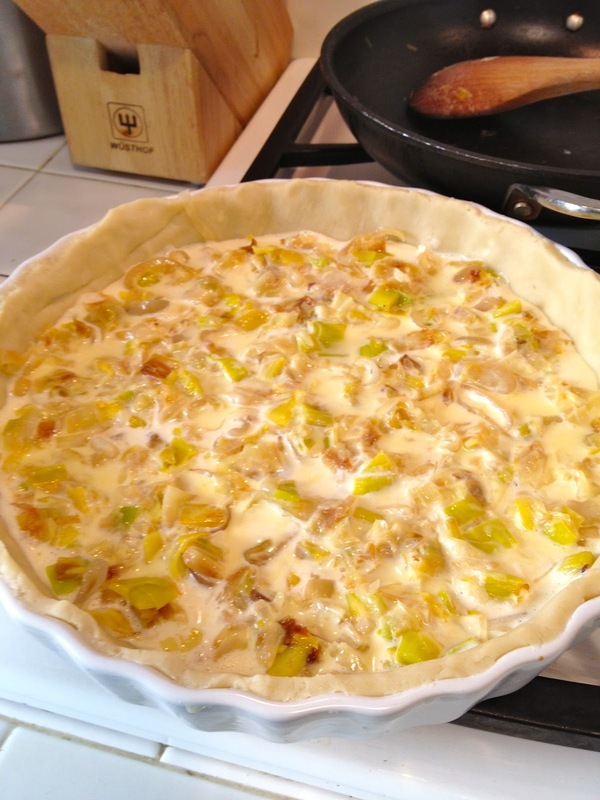 When it has softened, place the dough into your tart pan or pie plate and spread out the dough with your fingers until it fits the pan all the way up to the edges. Then leave it the fridge until you are ready to use. Heat up a medium pan over medium heat. When pan is hot add the butter, olive oil, leeks and shallots. Cook for about 5 minutes or until softened, stirring constantly. Set aside in a bowl and allow to cool. Combine the eggs, cream, thyme, 1/2 teaspoon salt and 1/4 teaspoon pepper in a food processor or blender. Blend for about 20 seconds. Pour a small amount of egg mixture into the pie dish, just enough to cover the bottom. 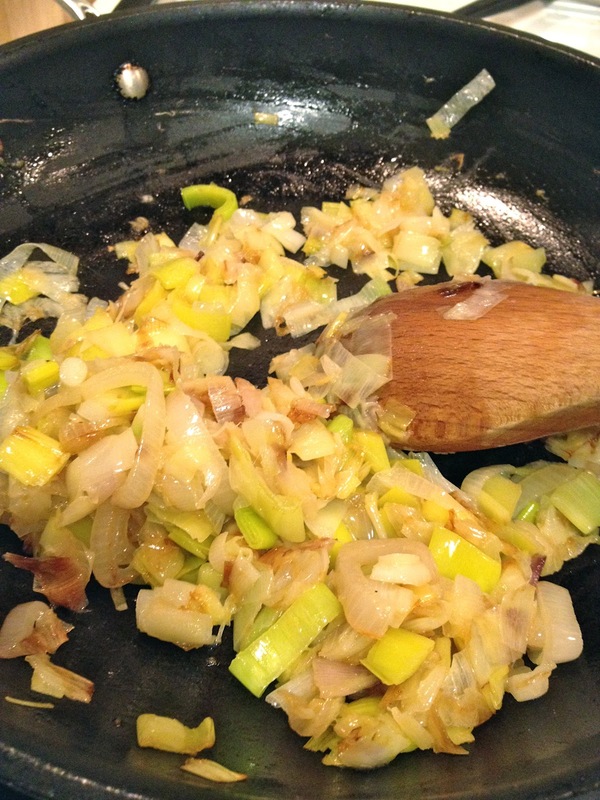 Add your leeks, evenly spread them out. Then evenly scatter the crumbled bacon on top of the leek layer. Next evenly sprinkle the cheese on top of the bacon layer. Finish off by pouring the rest of the egg mixture on top until it fills it completely without overflowing. 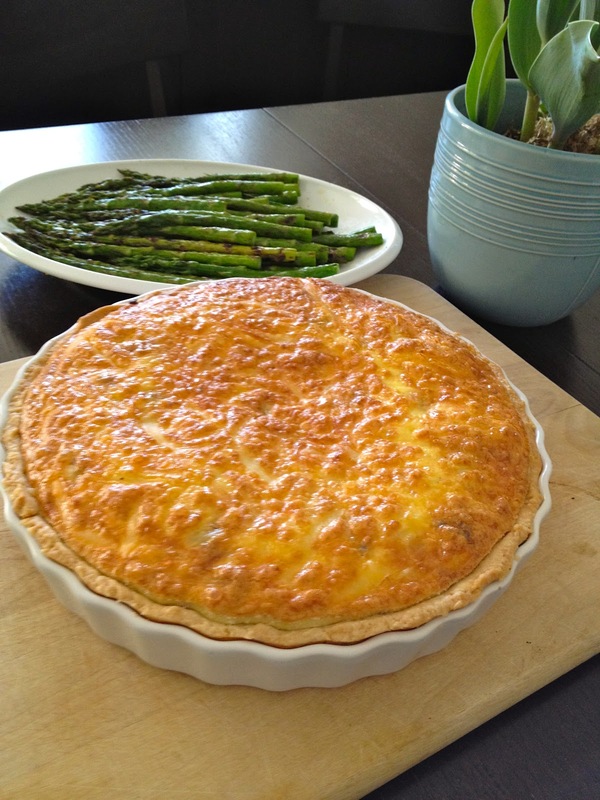 Place on a baking sheet (in case there is overflow) and into the oven for about 40 minutes or until the egg mixture is firm and the top is a golden brown. Don't overcook. Let rest for at least ten minutes. Cut into 6-8 pieces. Serve hot or room temperature. Looks so yummy! I can't wait until my kitchen remodel is complete. I am totally making this. Thanks for sharing!